Definition at line 1815 of file lscript_tree.h. Definition at line 1818 of file lscript_tree.h. Definition at line 1823 of file lscript_tree.h. 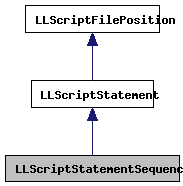 Definition at line 7382 of file lscript_tree.cpp. 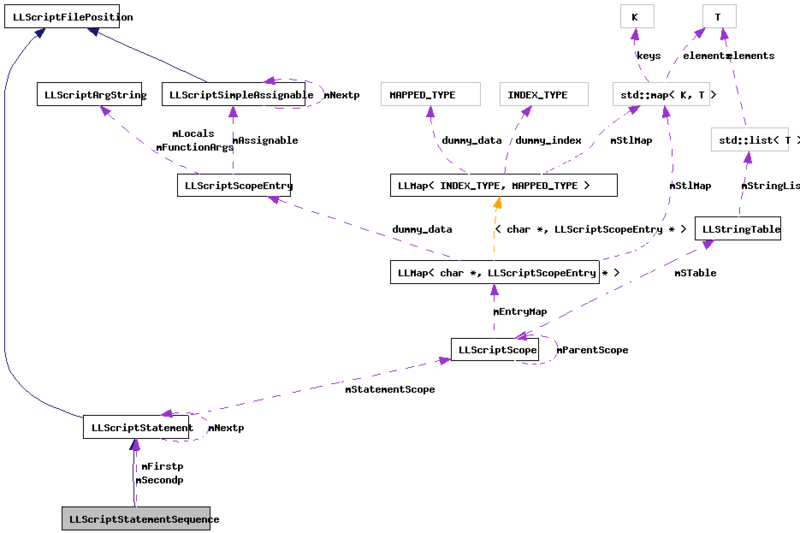 Definition at line 7387 of file lscript_tree.cpp. References gErrorToText, LLScriptGenerateErrorText::getErrors(), LLScriptStatement::gonext(), LSCP_EMIT_ASSEMBLY, LSCP_PRETTY_PRINT, LSCP_PRUNE, LSCP_TYPE, LSPRUNE_DEAD_CODE, LSWARN_DEAD_CODE, mFirstp, mSecondp, NULL, LLScriptStatement::recurse(), and LLScriptGenerateErrorText::writeWarning(). Definition at line 1830 of file lscript_tree.h. Definition at line 1831 of file lscript_tree.h.